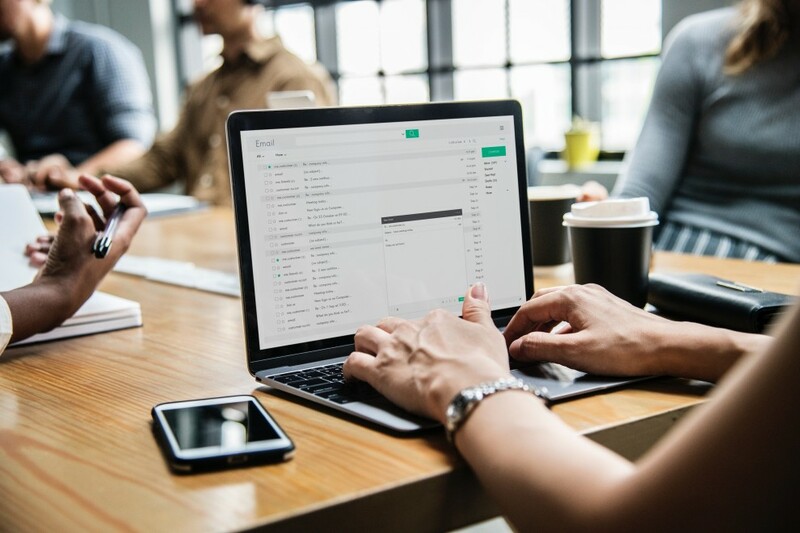 The number of business & consumer emails that are sent & received each day is expected to reach 319.6 billion by the end of 2021, that’s over 116 trillion emails a year! And I am sure that out these billions of emails, you might be hoarded by at least a couple of hundreds daily, especially on a Monday morning. And you spend hours and hours, reading and responding to them all, ensuing in getting behind on important tasks and projects. Alas! You can’t even ignore these emails, because there’s no denying that day to day emails are an important part of email marketing. This gives to the problem of organizing your emails which sometimes may seem like a Sisyphean task. So here are some tips to organize your emails that might eventually give you a peace of mind. If you start counting how many times you trash emails without even giving them a second glance, then I’m pretty sure you will simply lose count. So, why not simply unsubscribe them? Because nothing clogs your inbox more than the emails that you properly subscribed to eons ago but are irrelevant to you. However, despite this irrelevance, they still keep on appearing in your inbox. So, next time make sure to take note of what you are deleting. If you are deleting an email from the same channel repetitively without even opening it, then maybe it’s time to part your aways, that is, to simply unsubscribe those channels. Sometimes, the gist of the problem is – sending superfluous and unnecessary emails. Because, like a normal action-reaction dynamic works out, if you are sending more emails, you will receive a lot of them yourself. I am sure you are a communicator par excellence, you work long hours but maybe you are talking unnecessary email load by sending out a lot of emails. But have you ever pondered upon the fact that maybe you can do just fine without sending some of them? Let me clarify a bit by giving an example. Say, for example, Y sends an email thread to X and because X also had something to add in, he also responded to the thread. Now, suddenly X starts getting more emails than before resulting in skewed email cadence. So what exactly happened? Why did one single reply spiral into increased email load? Turns out, it wasn’t Y’s emails that were generating email load — it was X’s response and the responses of several other people who were added to that thread. So to allay this dynamo effect, make sure to write an email only when it is absolutely necessary and enjoy a more navigable email inbox. Generally, people deal with multiple email addresses including your work email address, your own professional email address, then there’s yours .edu email address or maybe another personal account that is still included in your contacts address list. Now, this seems like a chore to manage all these email addresses. So, why not consolidate them altogether? I know, most of you feel that your work emails should be separate from all the other emails. But if you have the flexibility to manage them all together without getting distracted, then I don’t see anything wrong in consolidating them. If anything, it lessens the burden of logging into various accounts and managing them separately. Have you ever glanced at an important email and due to some other pressing issue had to immediately close it? And then after a day or two, it simply slips your mind or when you eventually take a trip down the memory lane, your mind has a hazy memory of the sender. So, now THAT very important email is lost amid the seas of other emails. A couple of days ago, I found a perfect solution for this prevalent problem. Now, I simply “mark unread” those emails that I would want to return to once I am done with all the pressing tasks. This actually saves me from the pressure that of reading or responding to that important email right now. And this is we want, right? To remove the annoyance and urgency when dealing with our email inbox? You can prioritize or sort out your email list using five ways. All you have to do is to head to your settings, and have a look at the dropdown of the option “Inbox type”. Have a look at these five options. 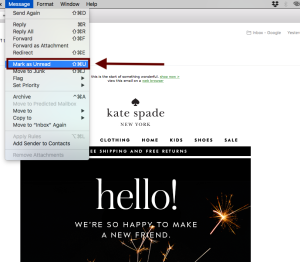 Default – Starting from default, which means that the emails will appear in the order that they landed in your inbox. 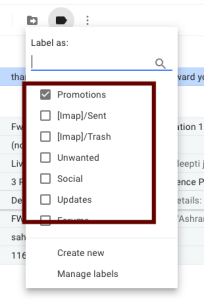 Important first – Now, when you choose this option, Gmail will automatically use its own prediction to sort out your email list. Unread first: In the above tip we talked about how marketing an email as Unread can work out in your favor. Now, if you customize your settings in order to display the Unread emails first, it might help you further organize your emails without any unwanted rigor. Starred first: If you use star your emails to prioritize them, then this option is best suited for you to keep your emails organized and clutter-free. Priority inbox: Now, this one actually prioritizes not on the basis of your individual emails, but on the basis of the category of those emails. For example, if your interaction with the “Starred” mails is maximum, then you will see them on the top followed by your second priority mails. The last section is everything else. Whenever I am reading a book, I generally use sticky notes to label the pages so that I can come back and have a look at something important or a trivia sometime down the lane. And it’s wonderful how we can put our emails in different categories as well to sort them out. Everything that you would otherwise consider a folder, such as Inbox, Trash, Drafts, are technically labels. It’s up to you, whether you want to use the pre-existing labels. Or you can add a label of your own, which you think best aligns with your email. And the best part is that you can add more than one label to an email, coupled with the ability to add color as well which might help you distinguish them more easily. Every one of us has a different schedule, but I am sure there is a pattern of how you go about your day. And sometimes, the pattern is a bit skewed, that is, there is not a specific routine. However, somehow if you could create a routine of when you will read your emails and clear out Spams and unnecessary emails, then you will be amazed to see that the load that was annoying you so much before, is not really a load. Your inbox becomes a load when you leave it untouched for days. So the best way to allay the email load is by sticking to a schedule. These were some of the easiest and most valuable email practices that you can incorporate in order to let go of the unnecessary email load. However, the key is to stick to them closely without veering for days. Because even if you forget to practice them for a few days, the email load might inflict you again. Practice these tips and I am sure you will be surprised how effective they can be. Furthermore, they can free up a lot of time which you can now use in doing something more productive.